Annette is currently a senior at NYU Stern studying Finance and Management. She hopes to make a difference in the world by combining her studies with her passion for positive creation. She would love to work in a firm that challenges the status quo, while producing as many successful reality TV shows as she can. She loves using her position at EEG to bring in speakers that reflect the importance she places on unique business models, creative business to consumer relations, and standout social marketing (such as "By Chloe" and "Birchbox"). In her free time you can find her looking for obscure fruits to post on @Juicy_Jems, watching TISCH approved movies like "Ten Things I Hate About You", or roaming the city in search of Michelin Star restaurants she hopes to someday afford. Please feel free to reach out to her for coffee, she knows many "cute spots". Cayley is a senior at NYU Stern studying Finance and Management. Originally from Malibu, California, she hopes to pursue a career in Management Consulting before venturing out to start her own company. Before college, she was a competitive equestrian, but now enjoys yoga, Friends reruns, brunching, and traveling. Beyond EEG, she is a member of 180 Degrees Consulting and Alpha Sigma Tau. Please reach out to her if you need someone to talk to about anything—particularly dessert and brunch spots! Geenie is currently a junior at NYU Stern studying Finance and Marketing. Her interest in entrepreneurship spawned from selling junk food from her locker in middle school while encouraging teachers to ban junk food on campus as a student council representative to keep her monopoly. She hopes to explore the creative side of business and to be exposed to people of different backgrounds and skill sets through EEG. Outside of school, Geenie enjoys eating Asian cuisine, online shopping, and watching Netflix. 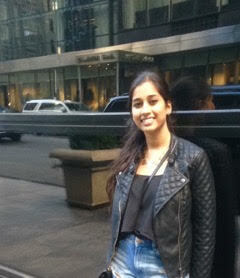 Joanna is a junior at NYU Stern and wants to study Finance and Marketing with a minor in Graphic Design. She is interested to learn more about entrepreneurship and hopes to have a career that can combine her interests in marketing and design. Outside of school, Joanna enjoys painting, watching cartoons, and eating good food. She firmly believes that food tastes best when delivered straight to her dorm, so she spends a lot of time exploring delivery apps. Please feel free to reach out to her for any food or delivery app recommendations. Tommy is a senior studying Comp Sci and Business. He really wants to be an entrepreneur or a software engineer after college. Before coming to NYU, Tommy founded a startup that gives disadvantaged students a music education by pairing them with college musicians. Outside of school, Tommy loves to play board games and video games. If you want to play Catan or learn about how to become involved in tech while at Stern, reach out to him. Rachel is a true Southern California native—meaning that she loves sunshine, long car drives down PCH, and acai bowls galore. 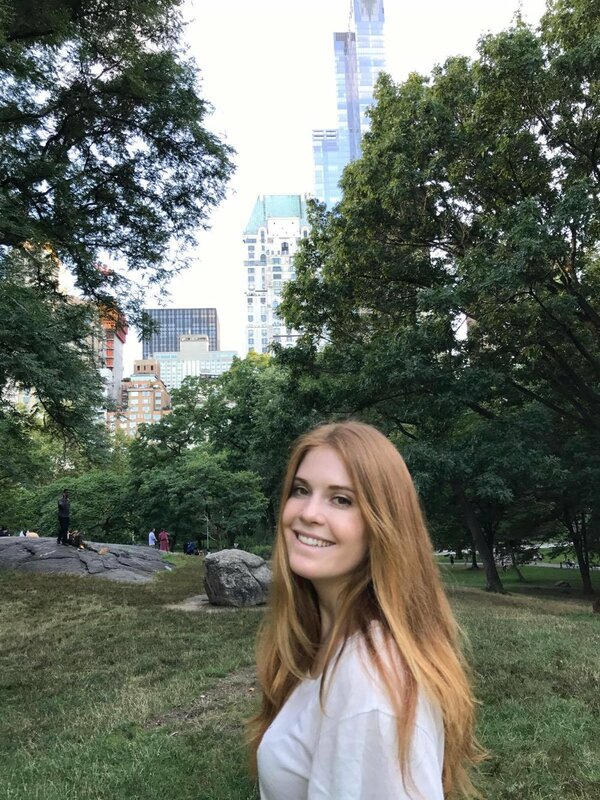 Currently studying Marketing and Economics at NYU Stern, she aspires to impact the world through a career that fuses the branding aspect of CSR as well as integrates sustainability into both innovative start-ups and well-established corporations—ideally in either the retail or food industries. You can usually find her exploring the city through concerts or local eateries, finding some reason to be out and about as much as possible. If you’re ever in need of a +1 to attend a random speaker event, check out a new exhibit, or just grab coffee and have deep talks about life with, she’s almost always down! Alex is a sophomore at NYU CAS studying Mathematics and Economics. He is interested in fostering an inclusive entrepreneurial spirit throughout the NYU student body, especially within schools outside of Stern. In his free time, Alex enjoys sports, video games, and exploring new restaurants with his friends. Outside of EEG, Alex is also a member of the Quantitative Finance Society, Table Tennis Team, Ballroom/Latin Dance Team, and Intramural Volleyball. Please feel free to reach out to him for restaurant recommendations, a new video game to play, or anything in between. Anthony is currently a sophomore in CAS studying Computer Science. He is a technology & marketing enthusiast. He is currently teaching himself Machine Learning and hopes to someday incorporate it with marketing in order to create solutions in the marketing & advertising industry. He is also very creative and expresses his artistry in writing poems, short stories, and creating cool T-Shirts. His hobbies include basketball, anime, video games, and listening to music. Burgers are his favorite food. Ariane is a sophomore at NYU Stern studying Finance and Computing and Data Science. She is originally from Hong Kong/Beijing but currently lives in Mamaroneck, NY. She is fascinated by the tech startup world, especially food tech startups, and loves learning about innovative new companies. Outside of school, she is also a big foodie and you can find her posting about her food adventures on @SecondsAvenue. Anandini is a junior at NYU studying Computer Science. As a college athlete and Computer Science student, she is interested in an entrepreneurial opportunities that combine nutrition, health and tech. Outside of school, she loves reading non-ficition and exploring restaurants themed around the latest diet fads in the city. Please feel free to reach if you want to learn about women in tech, latest workout/diet trends in the city or just to grab coffee!